Where Can I Get 45069 Sleep Apnea Treatment? Approximately 25 million adults in the United States alone have obstructive sleep apnea. Are you one of these individuals? If you’ve heard complaints about your loud snoring, abrupt awakenings, or episodes of gasping for air in the middle of the night, you may want to consider the possibility you are suffering from 45069 sleep apnea. Sleep apnea is a serious and potentially life threatening condition that occurs when the soft tissues and muscles in the back of the throat relax, restricting the airway. A restricted flow of oxygen is always a bad thing so it is no wonder that so many individuals with sleep apnea find themselves with headaches in the morning, drowsiness, difficulty concentrating and irritability. Seeking out the assistance of a well-respected 45069 sleep apnea specialist is the best thing you can do for overall well-being. At West Chester Dental Smile Center, we’ve helped many patients reclaim a full night’s rest and we are confident we can do the same for you. 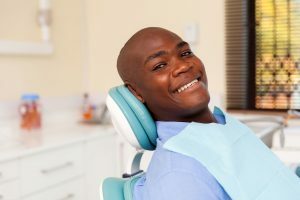 While it may sound somewhat unexpected that a dentist should treat a sleep issue, the mechanics behind what causes and treats sleep apnea move it into the dentist’s realm of expertise. In many cases the recommended treatment plan for sleep apnea consists of an oral appliance that is custom fabricated to fit your mouth. The device fits like a retainer and is designed to keep the soft tissues in your throat from obstructing your airway. Patients who believe that they may be suffering from sleep apnea should be initially evaluated by a physician to determine if they are “simple snorers” or have mild to moderate or more severe expressions of sleep apnea. Oral appliances are typically prescribed for patients with mild to moderate forms of sleep apnea. If you believe you or partner may be suffering from obstructive sleep apnea, call West Chester Dental Smile Center today. We’ve become the leading providers of 45069 sleep apnea treatment by providing skilled and experience care as well as treating every patient with the respect and individualized attention they deserve. Call our office today to schedule an appointment. This entry was posted in Sleep Apnea and tagged 45069, Dental Office, Dental Services, Dentist, Dentist Office, Dentistry, Oral Appliance, Sleep Apnea, Sleep Dentist on March 12, 2018 by admin.